Born in Penang, Malaysia Soo Chan is now based in Singapore. He is the founding principal and guiding light of SCDA architects which he established in 1995. 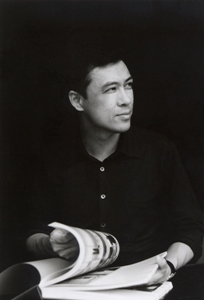 He has lectured on architecture all around the world and picked up a swath of awards along the way including the Royal Institute of British Architects worldwide award for the Lincoln modern in 2005, Singapore designer of the year 2006 and the Sia-Getz architecture prize for emergent architecture Asia, 2006. In 2008, his entry for the Singapore high commission in New Delhi made the shortlist at the World Architectural award in Barcelona. The works of the practice have been published extensively in glossy architecture journals and books and Soo Chan's portfolio of projects includes master planning, resorts and hotels, high-rise apartments, commercial and institutional buildings, and private homes, spanning several continents including Asia, Africa, Europe, Australia and USA. However, it is the resort he owns, designed and built for himself which is of particular interest to readers of The Luxury Travel Bible; Alia Villas Soori started out as a design for his own private home and became an exclusive resort. You are such a successful architect, what inspired you to create your own resort? Soori gives me the opportunity to comprehensively design all the different aspects of architecture, design and lifestyle. I also enjoy the approach of lifestyle oriented projects as it compliments our architecture. The aspiration is to establish a SCDA Lifestyle concept called "Soori Living" which encompasses Architecture, Landscape, Interior, Furniture and Houseware, as well as Food & Beverage and Spa aspects of service and hospitality. The different facets of the proposition complement each other and reinforce SCDA and Soori as a philosophy of living well. As an owner and architect for this project, it feels great to be able to be part of creating experiences and memories for the guests. What is the single best/defining thing about Alila Soori? Its strong commitment to eco-tourism, Alila Villas Soori is both environmentally and socially sensitive to its locale. Deliberate efforts were taken to consult and incorporate the customs and contributions of the local community within the conceptual design process. The construction methods adopted also created training and jobs for the neighbouring villages. While being environmentally conscious, we are at the same time supporting local community and reinforcing a sense of place. As an experience, it also introduces a whole new side of Bali to sophisticated and repeat travellers, with breathtaking surroundings that range from volcanic mountains and verdant rice terraces, to glistening black-sand beaches that overlook the Indian Ocean. Guests should have flexibility in the way they experience the hotel. 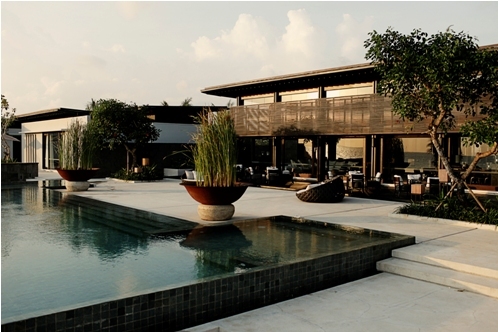 Alila Soori has a real 'spirit of place' What defines good hotel or resort design? Good resorts capture the spirit of the locale, incorporating climatic and cultural nuances. It is about the smaller details that completes the total experience for the user. Mandarin Oriental and Alila Villas Soori. Singapore Airlines, for its service and cabin design. I am spoilt for choice as there have been quite a few. Good hotel accommodation, direct flights.